Harry Capehorn will be making an appearence in Channel 4’s thriller ‘Born To Kill’. The four-part mini series is set to chill you to the bone and also stars Daniel Mays. 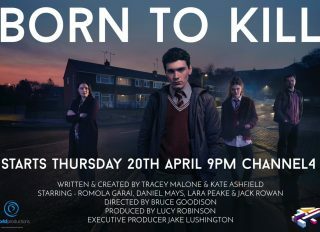 ‘Born To Kill’ starts Thursday 20 April on Channel 4 at 9pm. Want to find out more Click Here! Other recent projects include ITV Drama ‘Liar’ which is the latest series from ’Two Brothers Pictures’ who wrote and produced the critically aclaimed BBC series ‘The Missing 1 & 2’. He’s been cast in ‘Melody – The Musical’, a feature film and ‘Rellik’ – HBO/ BBC.